Strategic Catalyst is more than a business consulting firm. We are your resource for strategic business growth. performance – all our services are rooted in one objective. WE HELP CLIENTS INCREASE REVENUE. this qualification through EOS Worldwide. Our seven-step process takes clients through a full life cycle of assessment, planning, resource development and buy-in to methodically increase performance and profits. See the complete program. Knowing how important business growth and productivity is to business leaders, we help companies understand each of the six key components independently, how they fit together within their organization. Christine delivers impactful interactive presentations on business growth, leadership and management topics. Her emphasis is to provide practical “how-to’s” that can have long-term impact and results. Clients often approach us with a specific need. While we do offer a menu of a la carte services, all our work stems from first asking, “How can we help you reach your business growth goals?” Because our service offerings are closely integrated, we also work with clients on retainer across a spectrum of needs. No matter how you work with us, the promise Strategic Catalyst makes is that your investment with us will be recovered with increased revenue. Christine Spray is a nationally recognized business development keynote speaker, best-selling author two times, consultant, trainer, coach and Professional EOS Implementer. Spray serves as a CEO and business advisor with a passion for helping people and companies grow. Strategic Catalyst is a seven-year old Houston-based business growth and development consulting firm that understands how important business growth, development, management and productivity is to business leaders. We help companies understand each of the six key components of business independently, how they fit together within their organization – and the impact that interrelatedness can have on reaching the company’s strategic goals. 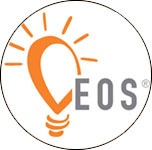 The EOS Model® works perfectly for any company in any industry. Christine is always looking for ways to help not only her clients, but all of her contacts. She is the first call I would make and the first meeting I would set in any business venture. Christine has been a tremendous asset to me and our company. Introducing us to business associates has been a great help in our branding and visibility within the community. Her presentation on marketing to our group was professional and informative and greatly increased the understanding of our professional staff. Having been a client of Christine at my current firm and serving with her on the Board of Directors of Women’s Energy Network (WEN), I can attest that Christine displays the same level of enthusiasm and dedication in her commitment to give back to the community as she does to serving her clients. As WEN’s Director of Community Initiatives, I asked Christine to speak at the inaugural event at each of WEN’s university chapters launched in 2013 at University of Houston, Rice University and University of St. Thomas. She graciously agreed. Christine is the perfect inaugural speaker. She is able to connect with the students by sharing her own life experiences, and her positive outlook clearly resonates. The students were fortunate to receive the caliber of skills offered by Christine so early in their career. I have no doubt that Christine’s presentation will directly and positively impact the growth of the WEN student chapter at each of the universities. Christine recently assisted the Board of Directors of FEI Houston with networking tips. We only had about 30 minutes and Christine was able to quickly and clearly lay out several specific strategies for better networking. Several board members commented on the usefulness and relevance of the information. Christine recently spoke to our Business Development Committee at the Greater Houston Partnership. She was extremely engaging and was able to keep the attention of a room full of business development people for almost an hour. This is unheard of! The content of her talk was perfect for our group and I was personally able to take away a couple of items to implement in my own company! Thank you Christine! Taking the Customer Experience to a new level. No one teaches this topic better than Christine Spray. Whether we’re talking about service, safety or team alignment, the core principles for success really are the same. At Jetco Delivery, it’s a journey with no finish line. Christine is by far, one of the best, most astute business development and marketing professionals I have had the pleasure of working with. Christine’s vast network is a testament to her thoughtful and considerate approach, resourcefulness and limitless patience. Christine brings extensive experience in developing business development, marketing and human resource strategies. Christine’s business savvy combined with her ability to perceive and understand issues and needs results in remarkable outcomes felt at all levels of an organization. She is informative and progressive and does it all in a friendly style and exciting way. Equipped with a plethora of training capabilities, Christine can help an organization in multiple areas whether it be creating and closing leads, conflict resolution or effective networking best practices. Christine’s ability to interact and connect is unmatched and her energetic personality and vibrant attitude make her a real team player. Not only will you find a real asset in Christine, but you will also find a friend. The opportunity to work with Christine is something I wish for you all. Christine Spray was an excellent speaker at our most recent Whitley Penn ENGAGE meeting. Her business development techniques and tips were easy to understand and implement. I received such great feedback from our group. She understands the business development challenges many people face and is able to provide them with solid, fresh ideas. I highly recommend Christine. I recently had Christine speak at our Houston Business Networking group and she was a knock-out. Without a doubt, she is superb at providing any business valuable insight to give them a winning edge. Her background, passion and overall personality will resonate with any audience. 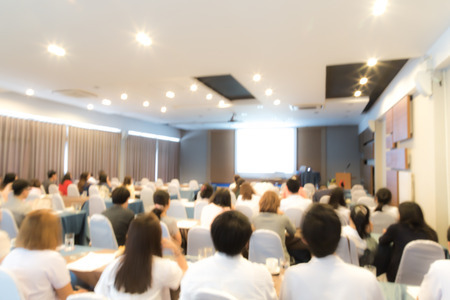 In multiple appearances that I have been a part of, when her presentation concluded, there were audiences waiting in line to connect with her and receive more wisdom that she has to offer. I highly recommend Christine to any business or individual. First, as chair of the Accelerate Committee, I would like to sincerely thank Christine for speaking to our group again at the Houston CPA Society. Her presentation on Strategic Planning and Goal Setting is always received very well by participants of this course, and our evaluation feedback has consistently been that we should definitely invite her back for more.